I have wanted to use an underwater housing with a digital SLR for years now. 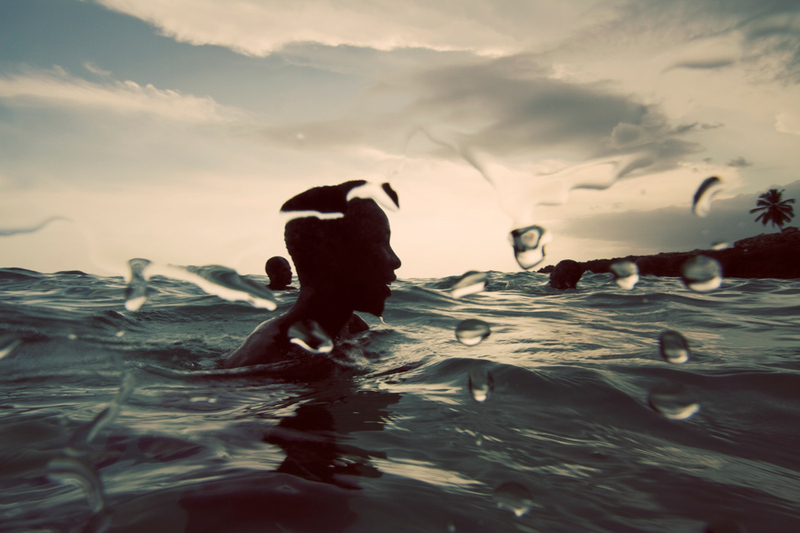 It’s been a craving really… an intense desire to combine my love of art, photography, and being in and around water. Throughout art school I constantly wished I could find some way to get my hands on one. Last week I finally had my first opportunity to use one. Thanks to Underwater Archaeology Professor Charlie Beeker from Indiana University. Charlie asked me to come down to the Dominican Republic last week and document a research project he has been working on with his students, Peace Corps volunteers, the D.R. government, and other archaeologists. I will most likely be posting about the project in more detail in the weeks (and maybe months to come), but for now I just want to show this image and talk a little bit about how important it is for me. I took this image on the first day Charlie handed the camera and housing over to me. He basically gave me the reigns and there I was using a multi-thousand dollar tool that I have been drooling over for years. It was pure joy. And to come away with this image, on that day, is so meaningful for me. This is not a “perfect” image. There are visible droplets on the dome port, maybe the composition could be adjusted, but for me the feeling is so right. This is, for me, an image about the experience of being in water. The droplets make it great, the alignment makes it feel real… just like a snapshot should be. This is about a moment where I was in the water with this camera for the first time, feeling such incredible happiness, and so were these kids… playing and swimming towards the end of the afternoon. So thank you Charlie and Indiana University for giving me this experience.